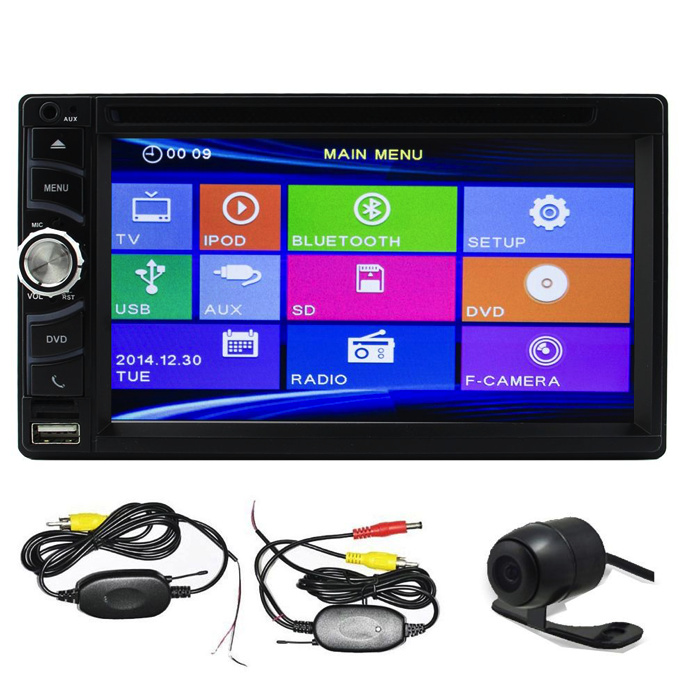 How to choose a suitable double din head unit for your car? These heads are approximately an inch tall. If your vehicle has a single DIN head unit, you can replace it with another single head unit. There also have been some exceptions where a single DIN stereo system is installed in a dash that is actually made to accommodate a double DIN head unit; but, this is not the everyday case. These heads stand two inches tall and give you more options if your vehicle has a double DIN head unit. You also have the choice to exchange it with a second-hand double DIN head unit or simply use the bracket kit to install a single DIN head unit. If you replace your double head unit for a single head, you can add a new component like a storage unit or a graphic equalizer. Most cars today have either a single or double DIN head unit. But, there are also different types of head units out there as well. For instance, you can run across a 1.5 DIN unit as well, which you can replace with a direct-fit or single DIN unit. This takes a good hit when it comes to head units with a fixed budget. This is true because head units that cost low lack a decent sound quality. Therefore, if you are on a tight budget, you need to make sure you choose a model that will allow you to add a digital sound processor, equalizer and an amplifier in the future. This factor can also suffer if you have a tight budget. 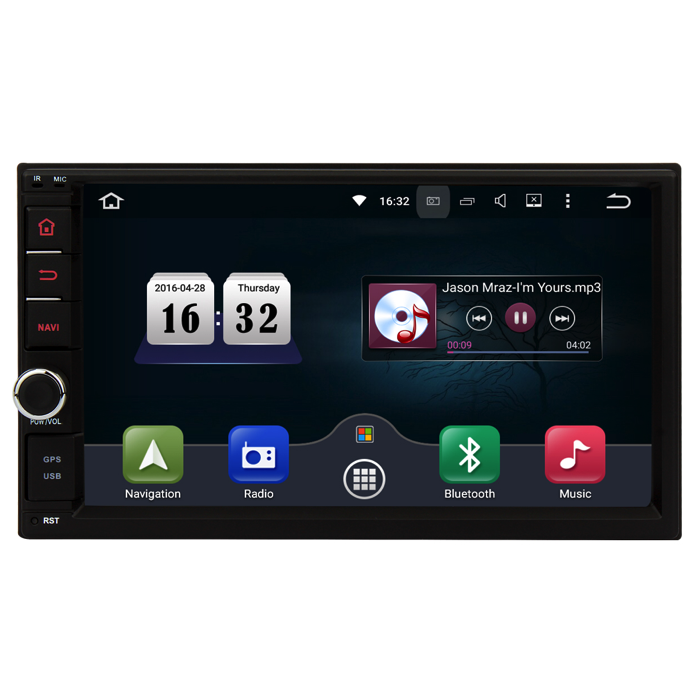 Therefore, while you are shopping for double head units from a shop, stand far away and make sure you can read whatever is written on the display screen and look around into the options and menus. This will show you how easy or hard the head unit is to control while you are driving. These factors also come into play when you are shopping on a tight budget. Expensive double DIN head units look more stylish and better than the cheaper ones. Hence, if you are looking for a good looking unit, you better be ready to shell out some cash from your pocket. HD radio is definitely an upgrade over conventional FM or AM radios. If you live in an area with a good HD radio coverage, you should absolutely include this feature in your new head unit. CDs are the good old ways of listening to music while on a journey. There are still many people with a large collection of music CDs. 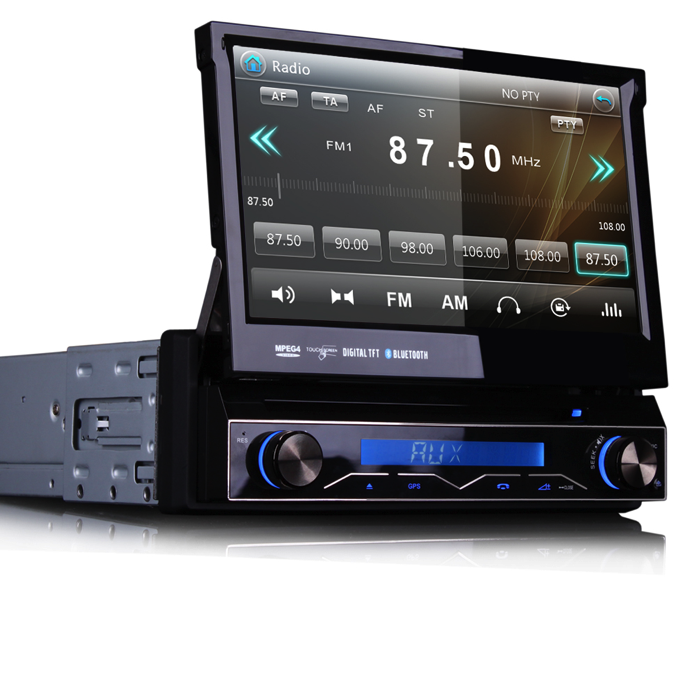 While most double DIN head units are fitted with a CD player, there are also some that are not. If you want to play music out of a CD, make sure the head unit supports CD-RW format. MP3 players are the music players that are small and can play music without the need for a CD. If you wish to play music using an MP3 player (mobile or tablet), you need to make sure the head unit is fitted with a front-facing auxiliary input cable. Some head units also have auxiliary inputs mounted on its rear side, which makes it difficult to plug in an MP3 player. 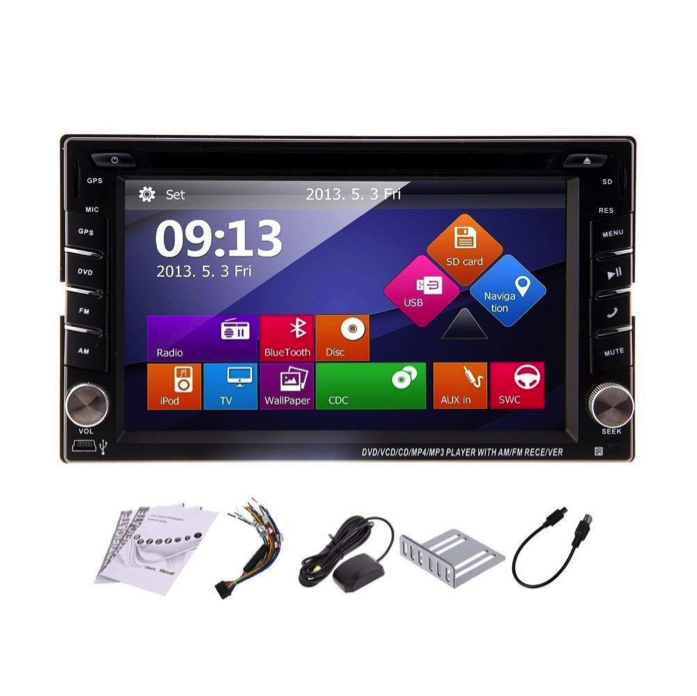 After you have figured out the above aspects, you should be able to choose a double DIN head unit with ease. Remember, your budget counts as well. Therefore, it is important to prioritize which feature is more important to you and which can be upgraded later on.